Tuesday Night Live (TNL) is our youth group program that takes place almost every Tuesday night from 7-9pm. This is the primary way for you to feel part of the ministry and for you to make friends. 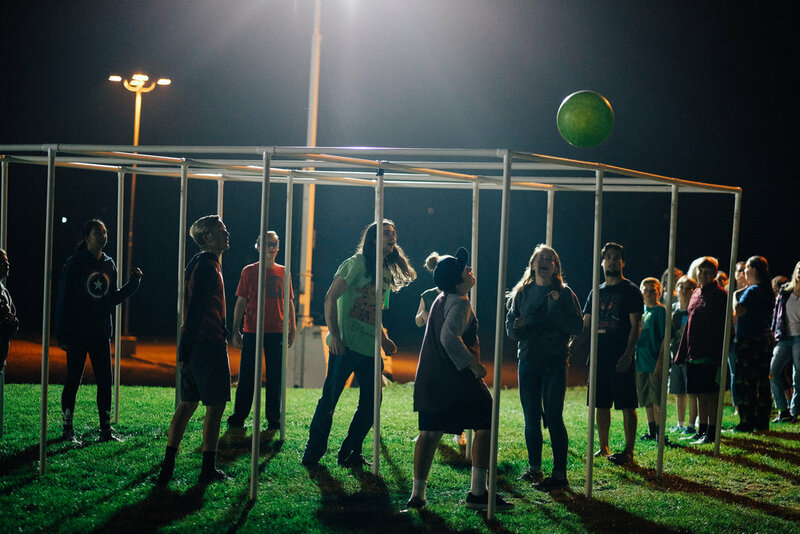 TNL consists of high energy games, concert feel worship, and gender and grade specific small groups. The first time you come you will be placed into a small group so you can start making Christian friends. You can come as early as 6pm to hangout in the Plaza or eat at the North Coast Coffee House before we begin the night in the Edge. If you have questions when you arrive, look for the info booth in the Plaza. When you drop your student off at TNL and when you pick them up, please follow this driving route (pictured right).